I am a proud Mac user, and love the features and almost everything in it. From the speed to the music player and lot more, i am just a big fan of mac. And i always tryout the Mac applications and see how to make the book more sexier than before, and most of the times the apps have just impressed and i was never unhappy using those. Here are the Must-Use mac applications that you should try using with your Macbook, although am not sure which are available for the Latest Leopard version of Mac OS X, but all of these are for the previous version Tiger. This is a beautiful Mac application that monitors virtual all battery health parameters and displays them in an easy-to-read format. Complete information about the battery usage including Original capacity, charging, charge usage and charge cycles. It is a 3.4Mb file to download in .dmg version. An indication of the current voltage being supplied is also given in the monitor box. Warning windows of not charging and also low battery are indicated. Adium is a free instant messaging application for Mac OS X. With Adium, you can connect to any number of messaging accounts on any combination of supported messaging services and then chat with other people using those services. This application supports various instant messenger services like Yahoo! Messenger, Jabber(This includes GTalk and LiveJournal), AOL Instant Messenger, MySpace IM, Bonjour and a few more. Available for many languages, and has features like tabbed messaging, file transfer etc. Private conversation features are also available with Adium. Various plugins and add-ons for this messenger can be found here. 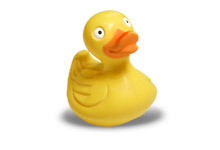 Cyberduck is an open source FTP and SFTP (SSH Secure File Transfer) browser. This application has an easy to use interface, integration with external editors and support for many Mac OS X system technologies such as Spotlight, Bonjour, the Keychain and AppleScript. Available in various languages, and features include multiple connections, resumable downloads, managing ftp bookmarks and more. A 9.2 Mb .dmg file for download. There are traditional and simplified versions for different languages. 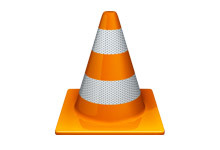 VLC media player is a free cross-platform media player. Quicktime and Windows media player both has some disadvantages with codec error etc. but VLC supports a large number of multimedia formats, without the need for additional codecs. This player can also be used as a streaming server, with extended features such as video on demand etc. The application is available for download in .dmg format and is of 14 Mb size. Watch any kind of videos without any glitch anytime. Available in few different themes too. DeskLickr is a cool mac application that directly grabs desktop images from a flickr profile of yours. Images can be loaded from a single profile or any tag search. The program can automatically search for images or you can manually do it. It has been upgraded for the latest Leopard version of Mac OS X. A progress bar appears when you see the downloads being done. Remember to be logged on to the Internet when opening this application, as it would need to download the images from the Flickr site. By now you probably know I just recently got a Mac and am currently voraciously reading any info about Macs. 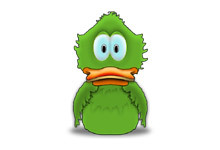 I just downloaded Cyberduck and Adium, thanks! users.And especially I found a free and excellent product,that is iskysoft free video downloader. For I always browse your website and I found it’s so grade,I hope you can use your website to share with other mac users. hi, i also know a really nice mac tool that can convert videos on Mac. it is really easy to use and really fast and with high output quality. 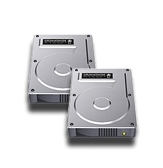 also a DVD Ripper that can convert DVD to all popular video formats on Mac.